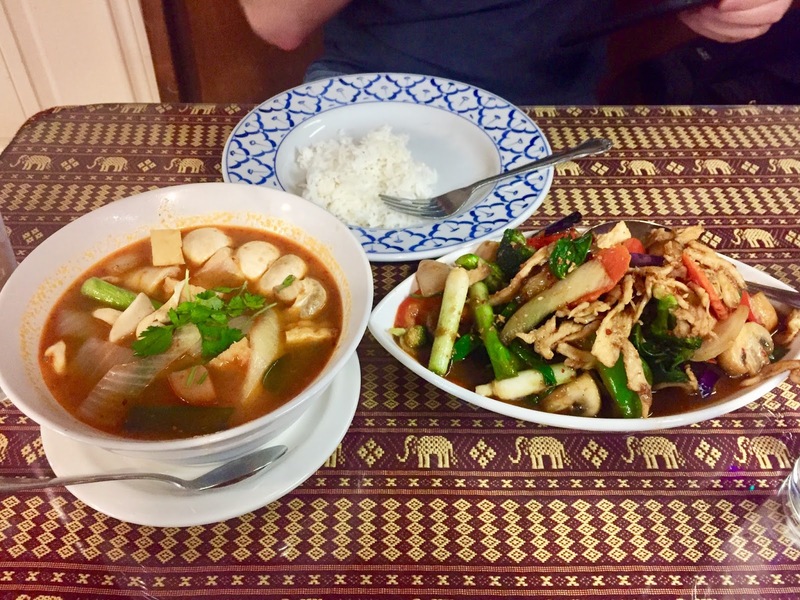 It’s hard to find a Thai restaurant that offers authentic Thai food when you are thousand miles away from Thailand. Ever since I’ve tasted local dish cooked in the street of Khao San (famous street in Bangkok), my standard leveled up. Many claimed and tried incorporating the word “Thai” on their business but don’t get fooled and be mislead, Beshie. Because most lack the authentic flavor and aroma. In short, Thai pretenders lol. After 20 minutes of waiting our food was served hot and steamy. We first tried the Tom Yum soup which is very appetizing just by looking at it. I was able to identify the herbs and spices used as I slowly sipped this hot and sour soup. The aroma of cooked lemongrass, crushed chili pepper and Kaffir lime leaves mixed together made me crave for more. It was so good that it gave me foodgasm in every sip. 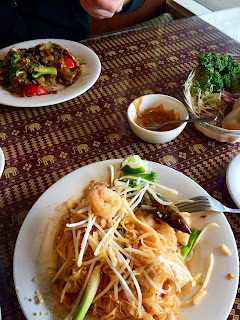 One bite of the spicy seafood Pad Thai brings back memories from our street food experience in Bangkok. The shrimp and squid was cooked perfectly. The vegetables are tender and crunchy. I never expected that Pad Thai in the US can be this good. Beshies, Sa Bai Thai Cuisine exceeded our expectations. So next time you're Portland make sure to visit this place.